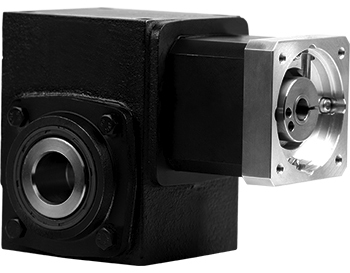 With its cast iron housing design, the EJH is a rugged, reliable performer for any dynamic servo application. This product is an ideal fit for machine builders transitioning from mechanical or hydraulic systems to all-electric servo drives. Unlike traditional worm gearboxes out on the market, the EJH utilizes a globoidal gear mesh, resulting in 300% shock load capacity and a quiet, smooth running drive. With torque capability up to 7800 in. lb. 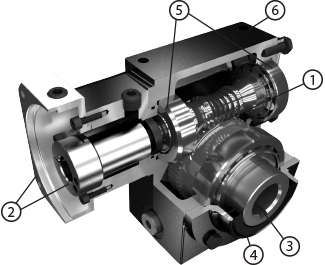 and backlash as low as 6 arc-min, the EJH is well suited for metals, plastics or rubber processing machinery applications requiring a robust, compact solution. NIDEC-SHIMPO can customize this product to fit your needs by offering a variety of solid shaft, hollow shaft or shrink disc output mounting options.